If you like the way it sounds when je t’aime rolls off your tongue, set your heart on studying French. By doing so, you open yourself not only to the language but also the wonderful people and sophisticated culture that created it. This program has been added to your wishlist. Choose up to three courses that you want to compare. One of the French language’s signature characteristics is the way one word seamlessly flows into the next, giving it the romantic melody for which it is so famous. Plus, not only does learning another language open career opportunities, it also creates the chance to meet new people. Although learning a language is a lifelong journey, it’s one that’s rife with rewarding experiences. Just imagine immersing yourself into the rich history of French culture using the language to read French literature in its original or watching French cinema without the subtitles. The best way to increase fluency, however, is to study the language in a place where you’ll be surrounded by it every day. 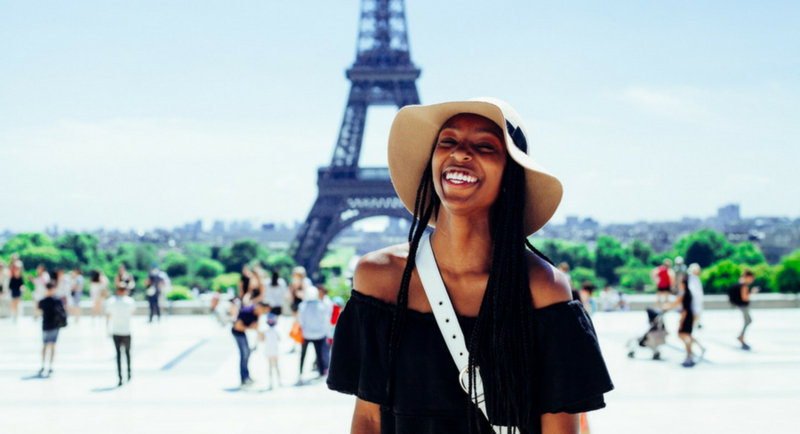 So, if you’re not one to be patient, try studying French abroad in France! Within just a few weeks you will be ordering in restaurants and asking locals for directions as you begin to increase your fluency, until one day you are holding conversations with French friends at a near native level! You can decide to study French at the university level or at a language learning school solely dedicated to teaching students the French language. Either way, the best French schools can be found in France where you will be taught by native speakers and always surrounded by the language. Now, all you have to do is decide the best place for you to study in France! If you are looking for a taste of a chic metropolis where you will never run out of things to do, head straight for France’s capital, Paris! Take a tour of the Louvre, stroll along the Seine, and then take a selfie in front of the Eiffel Tower. Every day will be a new adventure. Or, if you’re looking for something a little different, try Lyon. France’s third-largest city offers a view of many medieval landmarks and a taste of the region’s unique gastronomy. In today’s global environment, knowledge of a second or even third language is considered a high-value skill. Employers therefore put candidates at the top of the list if they have fluency in another language on their resume or CV. As one of the most widely spoken languages and an official language of the United Nations, French speakers are in demand. Or, if it’s your goal to stay in France after your studies, then no matter where you decide to work you will need an advanced knowledge of the language. The best French schools will often require that prospective students have demonstrated they have previously performed well in their classes. However, previous knowledge of French is not mandatory if you want to start as a beginner. Both undergraduate and graduate students will have to provide a copy of their academic transcripts, along with any standardized test results. If you wish to begin with upper-level French classes, however, you may have to demonstrate your knowledge of the language through a spoken interview or placement test. Add 2 or more programs to your wishlist using the icon, and click "compare wishlist" to see the programs side by side. Win a €5000 scholarship to study in Europe! 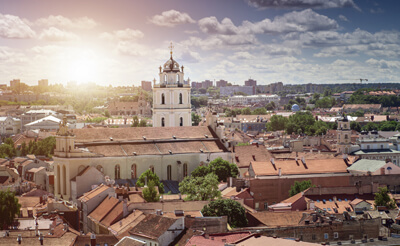 Want to study in Lithuania? Experience it in 360° virtual reality! Enter your details below to get the latest news on international education and studying abroad!